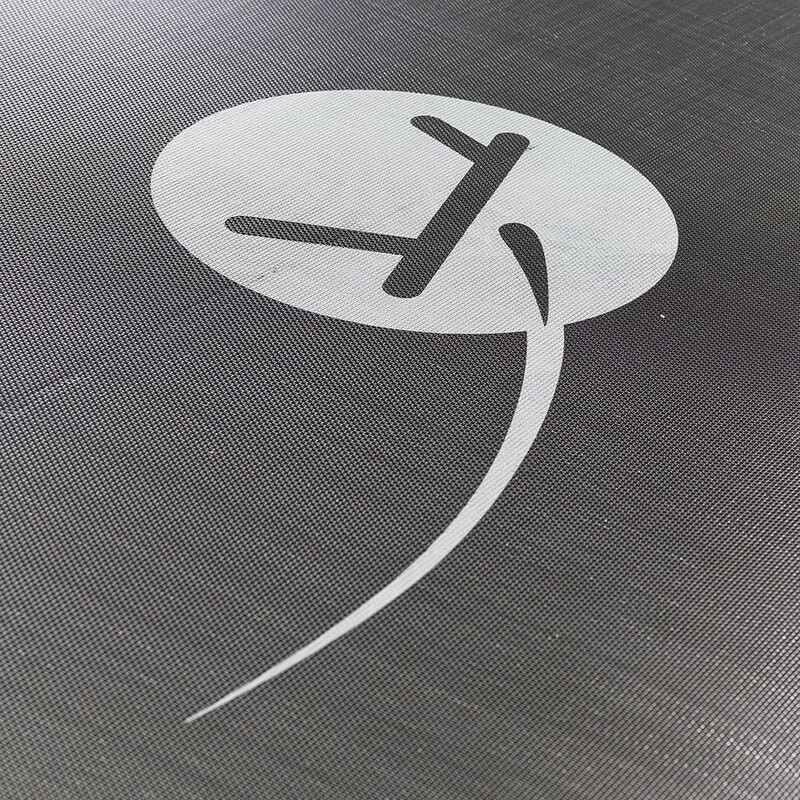 If your jumping mat is damaged, it is essential to change it. 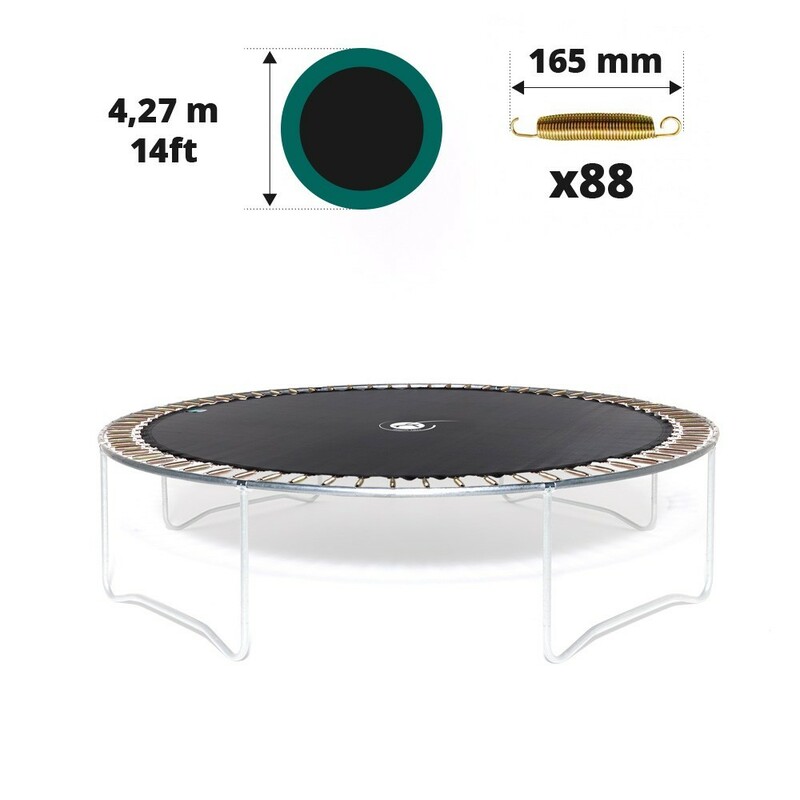 This jumping mat is for trampolines of 1.83 m in diameter with 42 springs of 180 mm, even if you did not buy it at France Trampoline. 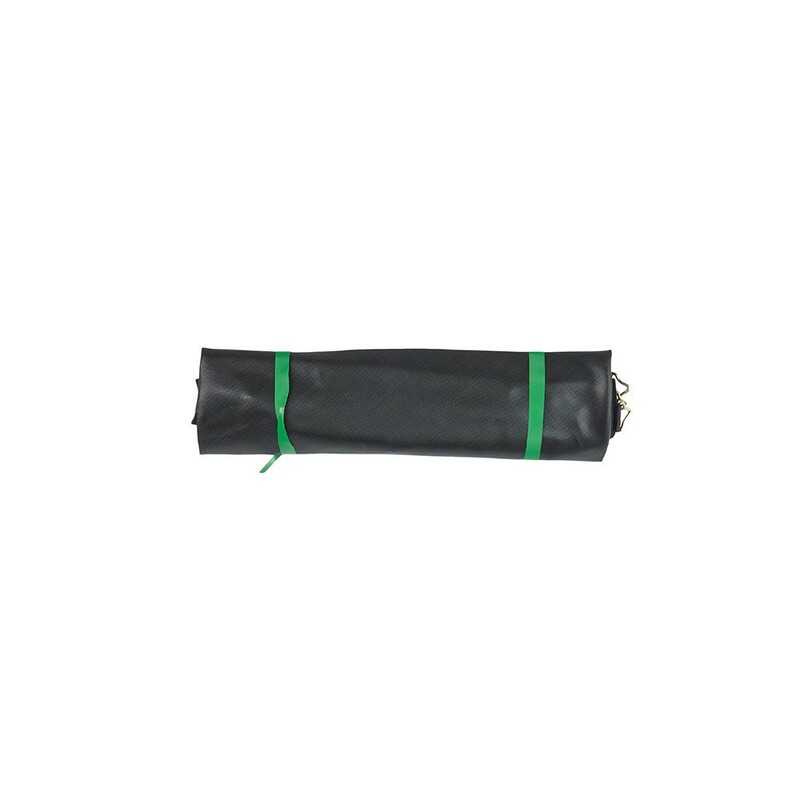 - This jumping mat is for Oxygen 180 trampoline and any other trampoline with the same measurements: the same diameter, number and length of springs. It is preferable to ask a second person to help you measure the exterior diameter of the trampoline. - Please make sure you measure your springs before ordering. 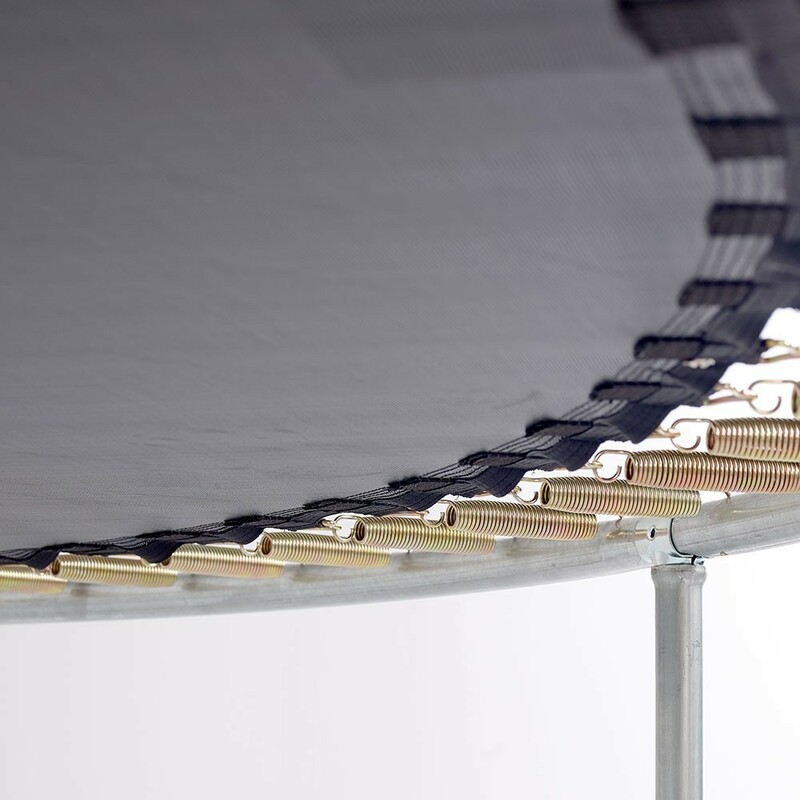 This jumping pad is for trampolines with 42 springs of 180 mm in length. 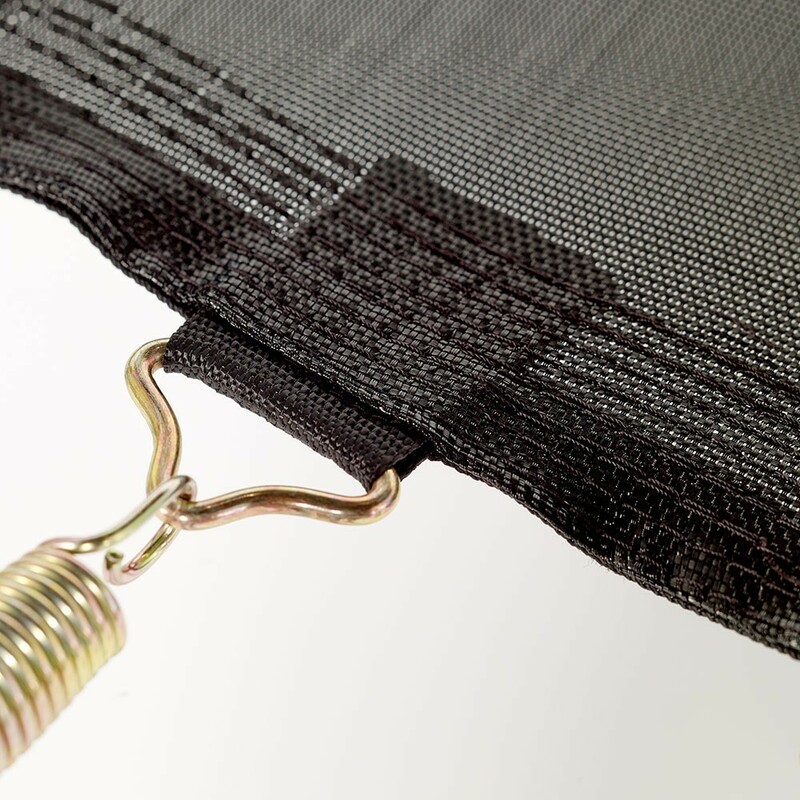 If your springs are longer then 185 mm or shorter the 170 mm, this jumping mat will not be adapted. You should measure the springs by detaching one of them and taking the measurement from hook to hook. To remove it, press down firmly on the centre of the coil, so that you can pull on the hook, on the side closest to the framework of the trampoline. A date, tout est OK et en ligne avec le besoin.